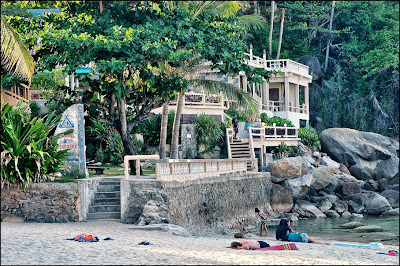 There are a few small resorts at the beach, including Promtsuk Buri, Thongtakian resort, Crystal Bay and Samui Yacht Club, they are all pretty simple but nice, and you can have a Thai traditional massage under a big tree. There are no sunbeds on the beach, so you have to bring your own towel. You have to be a little careful when swimming and walking in the water though, there are some corals and stones on the sea bed. 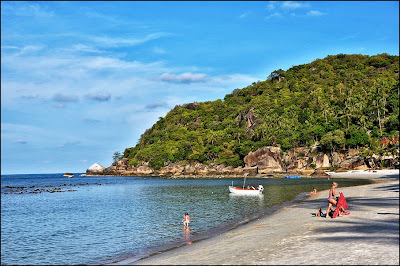 The sea is very shallow, which makes it perfect for swimming with kids. 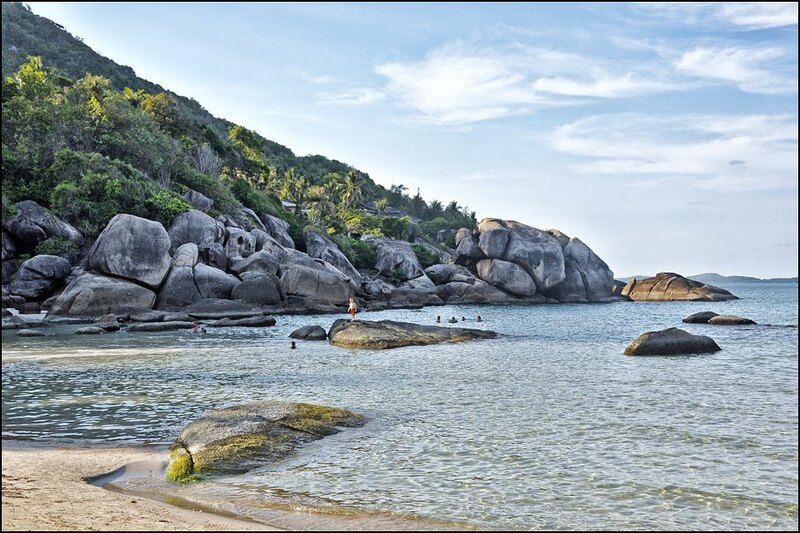 There is no watersport there, so the water is not polluted, which also makes it very attractive for swimming as all Samui's main beaches are now getting really polluted with gasoline, sometimes it's really unpleasant swimming next to the numerous speed boats and jet-ski. Wow! Silver Beach looks gorgeous! Thanks Elina for your wonderful posts! 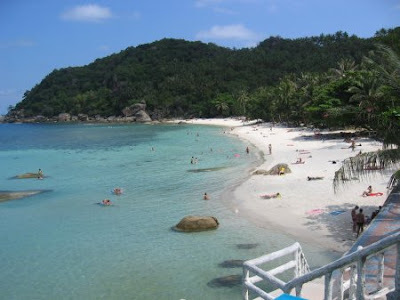 I stumbled on your blog while searching for info on Koh Samui!